Traditional bach in the old quieter part of Kinloch. 2 minutes walk to the lake - 5 minutes walk to the shop and marina - 10 minutes walk from the famous Jack Nicholas Golf course and cafe. Plenty of room to play cricket or volleyball in the backyard. Large covered deck. Only 1 1/2 hours drive to the Chateau. We expect visitors to clean-up and leave the bach as found, the cleaning fee charged is to cover resetting the fire, mopping floors and checking the bach after a visit to ensure it is always at the same high standard when guests arrive. Bond of $250.00 required for members without feedback or references. This is refundable when the bach has been checked. Extras: Cleaning (Required, NZ$50.00 per stay); Bond (Required, NZ$250.00 per stay); NOTE to make this more affordable, we do not offer a linen option so you are expected to bring your own linen (towels/sheets/tea towels). great location, easy access to lake, eveything you need at the property. We had a wonderful time. The weather was perfect and we spent our time outside on the deck or playing on the lawn/by the lake. The Bach suited us perfectly and the owners were great to deal with. We had a great stay at Ogilvie House. We had a great stay at Ogilvie House. The set up is good and it's only 5 min from the lake. What more would you want. This is the ideal well equipped holiday batch. Great location, nice covered deck and spacious bedrooms. 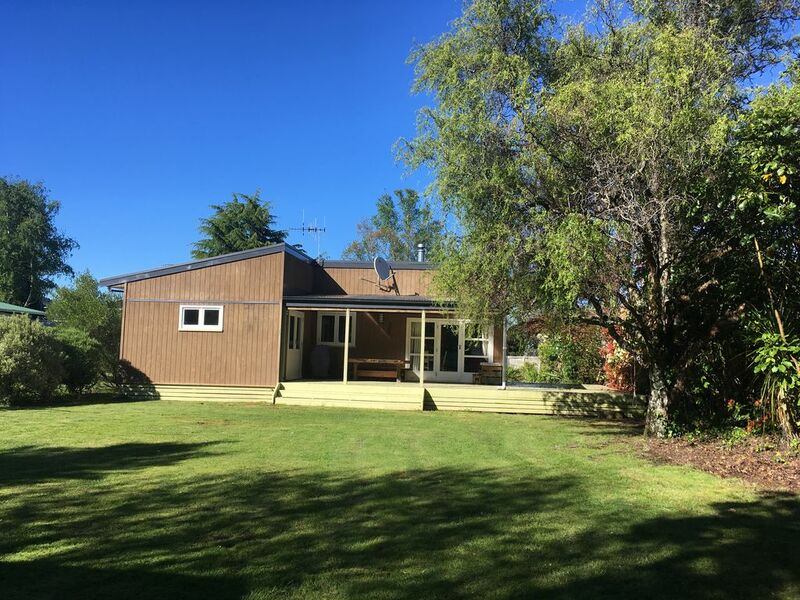 Great location, nice covered deck and spacious bedrooms. Excellent heating!